Peirce was deeply impressed by chance as a way to bring diversity and "progress" (in the form of increasingly complex organisms) to the world, including the mind. Peirce was unequivocal that chance was a real property of the world. He named it Tyche (τύχη). He writes in his third Monist article, "The Law of Mind,"
102. 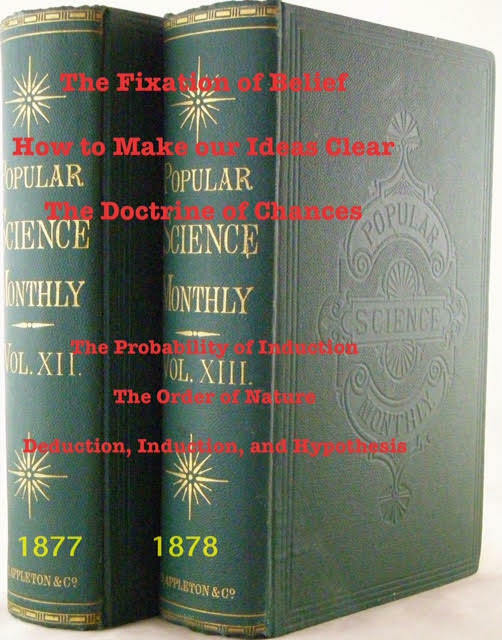 In an article published in The Monist for January, 1891, I endeavored to show what ideas ought to form the warp of a system of philosophy, and particularly emphasized that of absolute chance. In the number of April, 1892, I argued further in favor of that way of thinking, which it will be convenient to christen tychism (from τύχη, chance). A serious student of philosophy will be in no haste to accept or reject this doctrine; but he will see in it one of the chief attitudes which speculative thought may take, feeling that it is not for an individual, nor for an age, to pronounce upon a fundamental question of philosophy. That is a task for a whole era to work out. I have begun by showing that tychism must give birth to an evolutionary cosmology, in which all the regularities of nature and of mind are regarded as products of growth, and to a Schelling-fashioned idealism which holds matter to be mere specialized and partially deadened mind. The next step in the study of cosmology must be to examine the general law of mental action. In doing this, I shall for the time drop my tychism out of view, in order to allow a free and independent expansion to another conception signalised in my first Monist paper as one of the most indispensable to philosophy, though it was not there dwelt upon ; I mean the idea of continuity. The tendency to regard continuity, in the sense in which I shall define it, as an idea of prime importance in philosophy may conveniently be termed synechism. Peirce's idea of Tychism was inspired by the writings of Charles Renouvier and Alfred Fouillée, who were proponents of irreducible chance and indeterminism decades before quantum mechanics. But Renouvier and Fouillée were neo-Kantians who saw indeterminism and determinism as antinomies needing to be reconciled. Both speculated about free will somehow based on indeterminism. Peirce also would follow a sort of neo-Hegelian Aufhebung, reconciling the two moments, tychastic and anancastic, with his agapastic evolutionary love which he also called continuity or synechism. What he did say in was somewhat obscure and equivocal. He talks vaguely about two sides to the free-will question that he does not resolve. [T]he question of free-will and fate in its simplest form, stripped of verbiage, is something like this: I have done something of which I am ashamed; could I, by an effort of the will, have resisted the temptation, and done otherwise?... it is perfectly true to say that, if I had willed to do otherwise than I did, I should have done otherwise. On the other hand, arranging the facts so as to exhibit another important consideration, it is equally true that, when a temptation has once been allowed to work, it will, if it has a certain force, produce its effect, let me struggle how I may. In his "Doctrine of Necessity Examined," Peirce attacks the determinism of Democritus, and says that "Epicurus, in revising the atomic doctrine and repairing its defenses, found himself obliged to suppose that atoms swerve from their courses by spontaneous chance." Peirce notes that Aristotle and Epicurus both admitted free will, but does not give us a cogent explanation for their beliefs. (1) by external compulsion, or the action of efficient causes, (2) by virtue of an inward nature, or the influence of final causes, and (3) irregularly without definite cause, but just by absolute chance; and this doctrine is of the inmost essence of Aristotelianism. It affords, at any rate, a valuable enumeration of the possible ways in which anything can be supposed to have come about. Epicurus, clearly following Aristotle, finds a tertium quid, beyond necessity (Democritus' physics) and chance (Epicurus' swerve). The tertium quid is agent autonomy. With his fondness for triads, Peirce should have admired Epicurus' argument that human agents have an autonomous ability to transcend the chance and necessity of some events. This special ability makes us morally responsible for our actions. Can we see Peirce finding his own deep interest in tuche and ananke in Epicurus' concise wording of the problem of human agency? "To undertake to account for anything by saying baldly that it is due to chance would, indeed, be futile. But this I do not do. I make use of chance chiefly to make room for a principle of generalization, or tendency to form habits, which I hold has produced all regularities." The Stoics may have made Peirce guarded about chance and free will. And, without his ever formulating it clearly, he worried about the standard argument against free will, that neither necessity nor chance can provide free will. I attribute it altogether to chance, it is true, but to chance in the form of a spontaneity which is to some degree regular. It seems to me clear at any rate that one of these two positions must be taken, or else specification must be supposed due to a spontaneity which develops itself in a certain and not in a chance way, by an objective logic like that of Hegel. This last way I leave as an open possibility, for the present; for it is as much opposed to the necessitarian scheme of existence as my own theory is. Since, by the 1890's, Peirce's close colleague William James had embraced absolute chance as contributing the alternative possibilities that made the will free and the future open, it is odd that Peirce, the champion of chance, did not support James's two-stage model for free will. But then, sadly, the support between James and Peirce was mostly one way. Peirce's life work was primarily in science, and he was well aware that observational error made the doctrine of necessity strictly unprovable by any experiment. 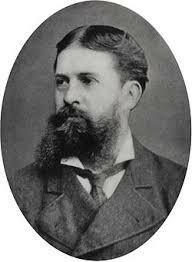 Peirce was quite familiar with the work of astronomers like that of the Belgian Adolphe Quételet. Quételet developed a theory of observational errors that had the same mathematical form as Abraham de Moivre's approximation to the binomial distribution in his book The Doctrine of Chances. De Moivre also derived the "bell-shaped" distribution known as "Gaussian" and the "central limit theorem" of Laplace's calculus of probabilities. It was Peirce who gave the modern name "Normal" to this distribution. (p - q)n could be approximated by a continuous mathematical curve (the modern bell curve). But Peirce thought about this "normal" distribution differently from all the earlier scientists and mathematicians back to De Moivre. For all of them, chance was merely epistemic, the result of human ignorance into the exact deterministic workings of the laws of nature. Chance is "atheistical," said De Moivre, and this set an attitude toward chance that Peirce opposed. For Peirce, chance drove the growth of complexity he saw everywhere in the universe, "Everywhere the main fact is growth and increasing complexity...there is probably in nature some agency by which the complexity and diversity of things can be increased." Peirce's (and Darwin's) evolutionary view opposed the idea that the variety of everything in the world was implicit (if not explicitly present) from the beginning of time. Peirce said, "variety is a fact which must be admitted; and the theory of chance merely consists in supposing this diversification does not antedate all time." Social scientists like Quételet and the English historian Henry Thomas Buckle even reached the absurd conclusion that the regularities seen in normal distributions of random events "proved" that the events themselves were not really random! Better than any other philosopher, Peirce articulated the difference between a priori probabilities and a posteriori statistics. He knew that probabilities are a priori theories and that statistics are a posteriori empirical measurements, the results of observations and experiments. Peirce used the theory of errors in his thirty years of scientific work for the U.S. Coast Survey, and his father had developed an important criterion for rejecting observational data when it was too far from the standard deviation of errors. For Peirce, necessity and determinism were merely assumptions. That there is nothing necessary and logically true of the universe, Peirce learned from discussions of the work of Alexander Bain in the famous "Metaphysical Club" of the 1860's, although the ultimate source for the limits on logic was no doubt David Hume's skepticism. Peirce modeled his ideas about "evolutionary love"" on the 1859 work of Charles Darwin, but he was not satisfied with Darwin's fortuitous variation and natural selection. He falsely associated it with the Social Darwinist thinking of his time and called it a "greed philosophy." 293. The Origin of Species of Darwin merely extends politico-economical views of progress to the entire realm of animal and vegetable life. The vast majority of our contemporary naturalists hold the opinion that the true cause of those exquisite and marvelous adaptations of nature for which, when I was a boy, men used to extol the divine wisdom, is that creatures are so crowded together that those of them that happen to have the slightest advantage force those less pushing into situations unfavorable to multiplication or even kill them before they reach the age of reproduction. Among animals, the mere mechanical individualism is vastly reënforced as a power making for good by the animal's ruthless greed. As Darwin puts it on his title-page, it is the struggle for existence; and he should have added for his motto: Every individual for himself, and the Devil take the hindmost! Jesus, in his sermon on the Mount, expressed a different opinion. 294. Here, then, is the issue. The gospel of Christ says that progress comes from every individual merging his individuality in sympathy with his neighbors. On the other side, the conviction of the nineteenth century is that progress takes place by virtue of every individual's striving for himself with all his might and trampling his neighbor under foot whenever he gets a chance to do so. This may accurately be called the Gospel of Greed. 295. Much is to be said on both sides. I have not concealed, I could not conceal, my own passionate predilection. Such a confession will probably shock my scientific brethren. Yet the strong feeling is in itself, I think, an argument of some weight in favor of the agapastic theory of evolution — so far as it may be presumed to bespeak the normal judgment of the Sensible Heart. Certainly, if it were possible to believe in agapasm without believing it warmly, that fact would be an argument against the truth of the doctrine. At any rate, since the warmth of feeling exists, it should on every account be candidly confessed; especially since it creates a liability to one-sidedness on my part against which it behooves my readers and me to be severally on our guard. Peirce also rejected the deterministic evolution scheme of Herbert Spencer, and proposed his own grand scheme for the evolution of everything including the laws of Nature! He called this synechism, his coined term for continuity, community, and the "evolutionary love" of God, in clear contrast to the merely random events of his tychism. Pierce's evolutionist thinking resembles that of Hegel. It was the basis for the evolutionary growth of variety, of irregular departures from an otherwise mechanical universe, including life and Peirce's own original thoughts. For Peirce and Hegel, ideas are living things with meanings that grow over time. Peirce was a "realist" in that he believed these ideas have a metaphysically real existence. There is no doubt that language evolves, and Peirce made foundational contributions to the theory of semiotics, the study of signs and symbols. "Every symbol is a living thing, in a very strict sense that is no mere figure of speech. The body of the symbol changes slowly, but its meaning inevitably grows, incorporates new elements and throws off old ones." Every symbol is, in its origin, either an image of the idea signified, or a reminiscence of some original occurrence, person or thing, connected with its meaning, or it is a metaphor. "A regular progression of one, two, three may be remarked in the three orders of signs, Icon, Index, Symbol. The Icon has no dynamical connection with the object it represents; it simply happens that its qualities resemble those of that object, and excite analogous sensations in the mind for which it is a likeness. But it really stands unconnected with them. The Index is physically connected with its object; they make an organic pair, but the interpreting mind has nothing to do with this connection, except remarking it, after it is established. The Symbol [ground] is connected with its object by virtue of the idea of the symbol-using mind [interpretant], without which no such connection would exist. Like Hegel, Peirce arranged his arguments in triads, sometimes with Hegel's thesis-antithesis-synthesis structure. Thus Peircean evolution has three levels, the Darwinian (random and indeterminate), the Spencerian (mechanical and determinate), and Peirce's synechism (union of the two first levels). Peirce's conception of thought also has random, determined, and continuity levels. Peirce's attempts to put everything into triads is likely responsible for his not seeing the process of evolution as two steps (which many moderns, e.g., Ernst Mayr, do), and thus he could not see the two-stage model of free will that his colleague William James saw so clearly. The most abstract of Peirce's triads was his logic analysis of relations. What he called firstness was a simple thing or idea in no relation, secondness a relatum and correlate, and thirdness, his triadic sign-object-interpretant. Peirce recognized that his addiction to triads was something like a disease, at the same time that he denied having it. It was triadomania! He caught it from Hegel and Kant. The author's response to the anticipated suspicion that he attaches a superstitious or fanciful importance to the number three, and forces divisions to a Procrustean bed of trichotomy. 568. I fully admit that there is a not uncommon craze for trichotomies. I do not know but the psychiatrists have provided a name for it. If not, they should. " Trichimania," [?] unfortunately, happens to be preempted for a totally different passion; but it might be called triadomany. I am not so afflicted; but I find myself obliged, for truth's sake, to make such a large number of trichotomies that I could not [but] wonder if my readers, especially those of them who are in the way of knowing how common the malady is, should suspect, or even opine, that I am a victim of it. But I am now and here going to convince those who are open to conviction, that it is not so, but that there is a good reason why a thorough student of the subject of this book should be led to make trichotomies, that the nature of the science is such that not only is it to be expected that it should involve real trichotomies, but furthermore, that there is a cause that tends to give this form even to faulty divisions, such as a student, thirsting for thoroughness and full of anxiety lest he omit any branch of his subject, will be liable to fall into. Were it not for this cause, the trichotomic form would, as I shall show, be a strong argument in confirmation of the reasoning whose fruit should take this form. In his fifth Monist essay, "Evolutionary Love," Peirce defined his basic triad as tychasm, anancasm, and agapasm. I propose to devote a few pages to a very slight examination of these questions in their relation to the historical development of human thought. I first formulate for the reader's convenience the briefest possible definitions of the three conceivable modes of development of thought, distinguishing also two varieties of anancasm and three of agapasm. The tychastic development of thought, then, will consist in slight departures from habitual ideas in different directions indifferently, quite purposeless and quite unconstrained whether by outward circumstances or by force of logic, these new departures being followed by unforeseen results which tend to fix some of them as habits more than others. The anancastic development of thought will consist of new ideas adopted without foreseeing whither they tend, but having a character determined by causes either external to the mind, such as changed circumstances of life, or internal to the mind as logical developments of ideas already accepted, such as generalizations. The agapastic development of thought is the adoption of certain mental tendencies, not altogether heedlessly, as in tychasm, nor quite blindly by the mere force of circumstances or of logic, as in anancasm, but by an immediate attraction for the idea itself, whose nature is divined before the mind possesses it, by the power of sympathy, that is, by virtue of the continuity of mind; and this mental tendency may be of three varieties, as follows. First, it may affect a whole people or community in its collective personality, and be thence communicated to such individuals as are in powerfully sympathetic connection with the collective people, although they may be intellectually incapable of attaining the idea by their private understandings or even perhaps of consciously apprehending it. Second, it may affect a private person directly, yet so that he is only enabled to apprehend the idea, or to appreciate its attractiveness, by virtue of his sympathy with his neighbors, under the influence of a striking experience or development of thought. The conversion of St. Paul may be taken as an example of what is meant. Third, it may affect an individual, independently of his human affections, by virtue of an attraction it exercises upon his mind, even before he has comprehended it. This is the phenomenon which has been well called the divination of genius; for it is due to the continuity between the man's mind and the Most High. ("Evolutionary Love," The Monist, vol. 3, pp 176-200 (1893), CPP, vol VI, p.205. Then, in the unpublished "A Guess at the Riddle," Peirce made a successful triadomanic move. He extended Darwin's two-step evolutionary process of random spontaneous variation followed by natural selection into a three-step process - "first, the principle of individual variation or sporting; second, the principle of hereditary transmission, which wars against the first principle; and third, the principle of the elimination of unfavorable characters." The result is not exactly tychastic-anancastic-agapastic, but it does break out the need for inheritance, which Darwin knew, but the mechanism for which which was not understood until the synthesis of Mendelian genetics in the twentieth century. 395. Whether the part played by natural selection and the survival of the fittest in the production of species be large or small, there remains little doubt that the Darwinian theory indicates a real cause, which tends to adapt animal and vegetable forms to their environment. A very remarkable feature of it is that it shows how merely fortuitous variations of individuals together with merely fortuitous mishaps to them would, under the action of heredity, result, not in mere irregularity, nor even in a statistical constancy, but in continual and indefinite progress toward a better adaptation of means to ends. How can this be? What, abstractly stated, is the peculiar factor in the conditions of the problem which brings about this singular consequence? 396. Suppose a million persons, each provided with one dollar, to sit down to play a simple and fair game of chance, betting for example on whether a die turns up an odd or even number. [Peirce compares the winners to the species selected by evolution] It is easy to see that the increase of average and usual wealth comes about by the subtraction of all those small fortunes which would be in the hands of men who had once been bankrupt had they been allowed to continue betting. 397. Now the adaptation of a species to its environment consists, for the purposes of natural selection, in a power of continuing to exist, that is to say, in the power of one generation to bring forth another; for as long as another generation is brought forth the species will continue and as soon as this ceases it is doomed after one lifetime. This reproductive faculty, then, depending partly on direct fecundity, and partly on the animal's living through the age of procreation, is precisely what the Darwinian theory accounts for. This character plainly is one of those which has an absolute minimum, for no animal can produce fewer offspring than none at all and it has no apparent upper limit, so that it is quite analogous to the wealth of those players. It is to be remarked that the phrase "survival of the fittest" in the formula of the principle does not mean the survival of the fittest individuals, but the survival of the fittest types; for the theory does not at all require that individuals ill-adapted to their environment should die at an earlier age than others, so long only as they do not reproduce so many offspring as others; and indeed it is not necessary that this should go so far as to extinguish the line of descent, provided there be some reason why the offspring of ill-adapted parents are less likely than others to inherit those parents' characteristics. It seems likely that the process, as a general rule, is something as follows: A given individual is in some respect ill-adapted to his environment, that is to say, he has characters which are generally unfavorable to the production of numerous offspring. These characters will be apt to weaken the reproductive system of that individual, for various reasons, so that its offspring are not up to the average strength of the species. This second generation will couple with other individuals, but owing to their weakness, their offspring will be more apt to resemble the other parent, and so the unfavorable character will gradually be eliminated, not merely by diminished numbers of offspring, but also by the offspring more resembling the stronger parent. There are other ways in which the unfavorable characters will disappear. When the procreative power is weakened, there are many examples to show that the principle of heredity becomes relaxed, and the race shows more tendency to sporting. This sporting will go on until in the course of it the unfavorable character has become obliterated. The general power of reproduction thereupon becomes strengthened; with it the direct procreative force is reinforced, the hereditary transmission of characters again becomes more strict, and the improved type is hardened. 398. But all these different cases are but so many different modes of one and the same principle, which is the elimination of unfavorable characters. We see then that there are just three factors in the process of natural selection; to wit : first, the principle of individual variation or sporting; second, the principle of hereditary transmission, which wars against the first principle; and third, the principle of the elimination of unfavorable characters. 399. Let us see how far these principles correspond with the triads that we have already met with. The principle of sporting is the principle of irregularity, indeterminacy, chance. It corresponds with the irregular and manifold wandering of particles in the active state of the protoplasm. It is the bringing in of something fresh and first. The principle of heredity is the principle of the determination of something by what went before, the principle of compulsion, corresponding to will and sense. The principle of the elimination of unfavorable characters is the principle of generalization by casting out of sporadic cases, corresponding particularly to the principle of forgetfulness in the action of the nervous system. We have, then, here, a somewhat imperfect reproduction of the same triad as before. Its imperfection may be the imperfection of the theory of development. ("A Guess at the Riddle," Collected Papers of C.S.P., vol.I, p.214. Peirce seems to make the question of free will into a reductio ad absurdum. [T]he question of free-will and fate in its simplest form, stripped of verbiage, is something like this: I have done something of which I am ashamed; could I, by an effort of the will, have resisted the temptation, and done otherwise? The philosophical reply is, that this is not a question of fact, but only of the arrangement of facts. Arranging them so as to exhibit what is particularly pertinent to my question -- namely, that I ought to blame myself for having done wrong -- it is perfectly true to say that, if I had willed to do otherwise than I did, I should have done otherwise. On the other hand, arranging the facts so as to exhibit another important consideration, it is equally true that, when a temptation has once been allowed to work, it will, if it has a certain force, produce its effect, let me struggle how I may. There is no objection to a contradiction in what would result from a false supposition. The reductio ad absurdum consists in showing that contradictory results would follow from a hypothesis which is consequently judged to be false. Many questions are involved in the free-will discussion, and I am far from desiring to say that both sides are equally right. On the contrary, I am of opinion that one side denies important facts, and that the other does not. But what I do say is, that the above single question was the origin of the whole doubt; that, had it not been for this question, the controversy would never have arisen; and that this question is perfectly solved in the manner which I have indicated. The Monist, vol. 3, pp 176-200 (1893), CPP, vol VI, p.205. In his Fixation of Belief, Peirce set out his ideas about knowledge acquisition. For Peirce, belief indicates the existence of a habit that will guide action. We think of it as actionable information. Doubt is quite the contrary; it inhibits action. The feeling of believing is a more or less sure indication of there being established in our nature some habit which will determine our actions. Doubt never has such an effect. Doubt is an uneasy and dissatisfied state from which we struggle to free ourselves and pass into the state of belief; while the latter is a calm and satisfactory state which we do not wish to avoid, or to change to a belief in anything else. On the contrary, we cling tenaciously, not merely to believing, but to believing just what we do believe. The irritation of doubt is the only immediate motive for the struggle to attain belief. It is certainly best for us that our beliefs should be such as may truly guide our actions so as to satisfy our desires; and this reflection will make us reject every belief which does not seem to have been so formed as to insure this result. But it will only do so by creating a doubt in the place of that belief. With the doubt, therefore, the struggle begins, and with the cessation of doubt it ends. Hence, the sole object of inquiry is the settlement of opinion. The truth is our ideas about the distinction between analytical and synthetical judgments is much modified by the logic of relatives, and by the logic of probable inference. An analytical proposition is a definition or a proposition deducible from definitions; a synthetical proposition is a proposition not analytical. * Deduction, or analytical reasoning, is, as I have shown in my "Theory of Probable Reasoning,"t a reasoning in which the conclusion follows (necessarily, or probably) from the state of things expressed in the premisses, in contradistinction to scientific or synthetical, reasoning, which is a reasoning in which the conclusion follows probably and approximately from the premisses, owing to the conditions under which the latter have been observed, or otherwise ascertained. The two classes of reasoning present, besides, some other contrasts that need not be insisted upon in this place. They also present some significant resemblances. Deduction is really a matter of perception and of experimentation, just as induction and hypothetic inference are; only, the perception and experimentation are concerned with imaginary objects instead of with real ones. The operations of perception and of experimentation are subject to error, and therefore it is only in a Pickwickian sense that mathematical reasoning can be said to be perfectly certain. It is so only under the condition that no error creeps into it; yet, after all, it is susceptible of attaining a practical certainty. So, for that matter, is scientific reasoning; but not so readily. Again, mathematics brings to light results as truly occult' and unexpected as those of chemistry; only they are results dependent upon the action of reason in the depths of our own consciousness, instead of being dependent, like those of chemistry, upon the action of Cosmical Reason, or Law. Or, stating the matter under another aspect, analytical reasoning depends upon associations of similarity, synthetical reasoning upon associations of contiguity. The logic of relatives, which justifies these assertions, shows accordingly that deductive reasoning is really quite different from what it was supposed by Kant to be; and this explains how it is that he and others have taken various mathematical propositions to be synthetical which in their ideal sense, as propositions of pure mathematics, are in truth only analytical.